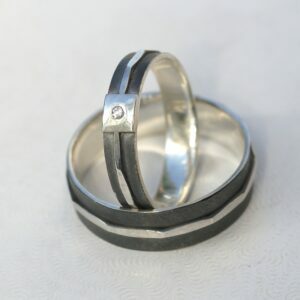 Simple and elegant rings, featuring contrast of oxidized texture and polished hammered strip in the middle. 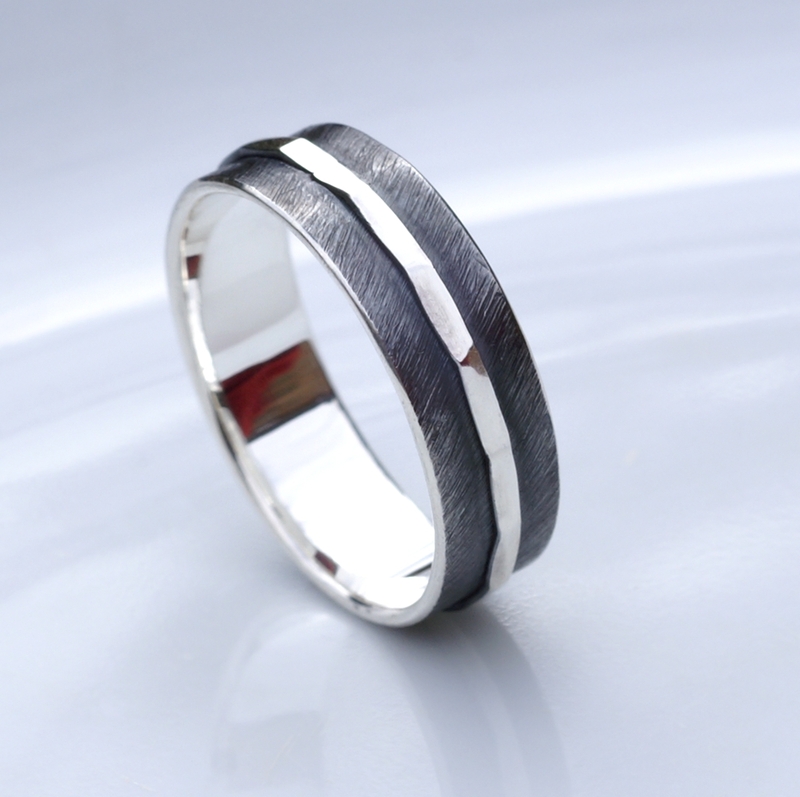 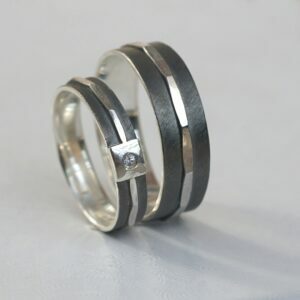 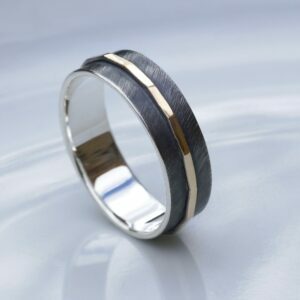 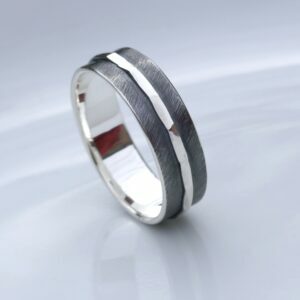 Perfect as a man’s wedding band and they are also available as a matching sets with tiny gemstone in women’s ring. 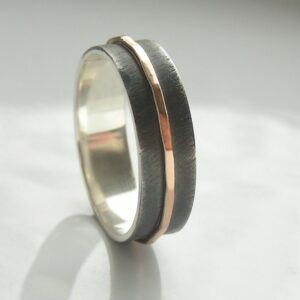 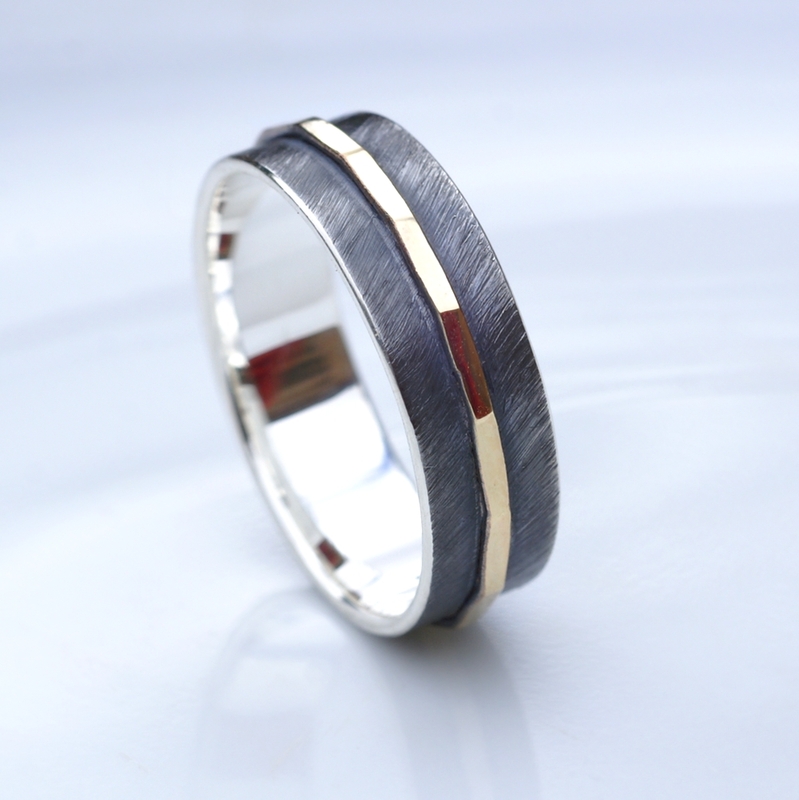 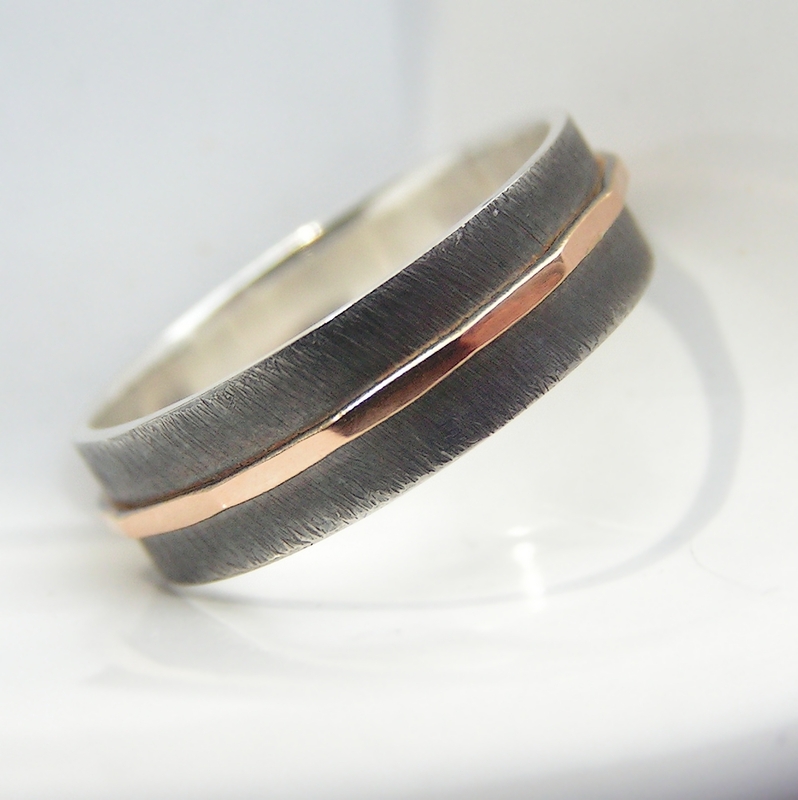 Made with oxidized sterling silver and your choice of central band (silver, yellow gold, rose gold).